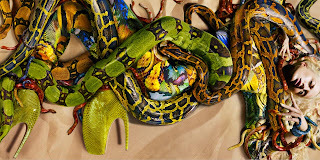 Snakes reign on the latest Alexander McQueen Spring 2010 Ad. 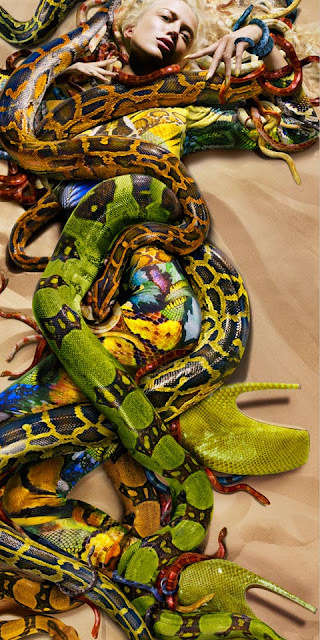 Raquel Zimmerman is covered with eery snakes of different size and color.You can hardly see her as she camouflage with the serpents. Check out the larger version after jump.